3. Camp 47. Re-education & Behaviour Modification. 4. All deviants report to Centre Compound. 10. Don't Worry My Dear, he has already eaten. 11. A little Sport, a little Hunt. 12. Do we really have a chance? 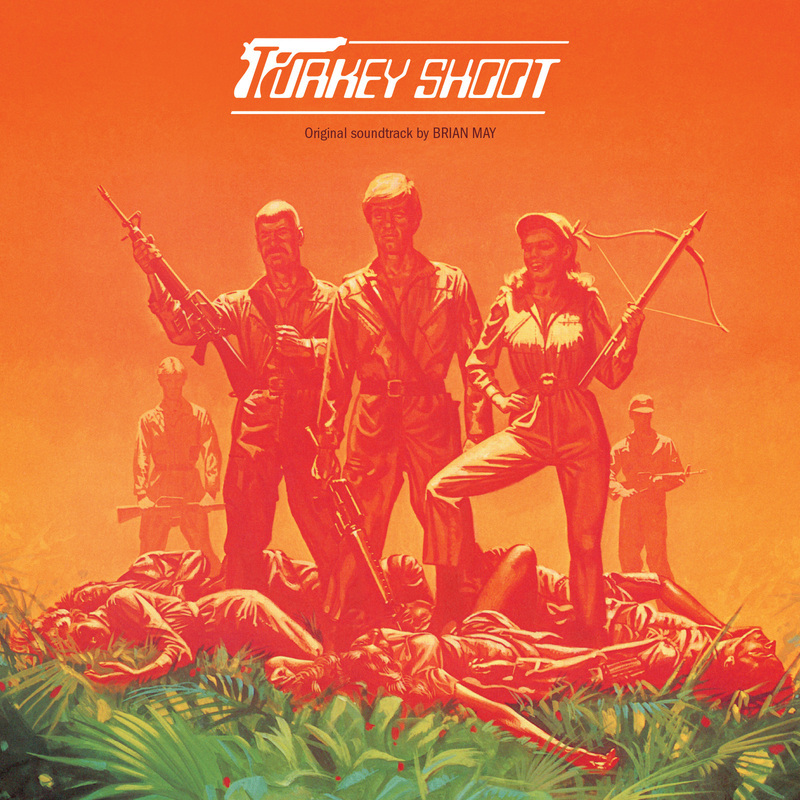 The notorious 1982 Australian film, Turkey Shoot (Also known as Escape 2000 in the US and Blood Camp Thatcher in the UK) has long been considered the ultimate of Australian Video Nasties. Set in a dystopian future where a totalitarian regime imprison a group of ‘deviants’ to a high security prison destined for rehabilitation and social re-programming. The story involves the group of inmates fleeing from the camp controlled by the draconian warden, a sadistic alopecic henchmen and a bizarrely scripted lycanthropic carnival-mutant…shall we read on..? Produced by Antony I Ginnane’s F.G films (Patrick, Thirst, Snapshot etc…) together with British actor David Hemming (Blow Up, Fragment of Fear, Deep Red), the film was aesthetically influenced by the brutality and savagery of Italian sub-genre cinema, (ie Umberto Lenzi’s Cannibal films and Lucio Fulci’s Zombie films), as well as borrowing the central theme from the 1932 film The Most Dangerous Game. Scored by renowned Australian film composer Brian May (Mad Max, Patrick, The Day After Halloween), the predominantly electronic soundtrack hints stylistically to brooding horror-synth of John Carpenter, the mutant patchbay of Gil Melle’s soundtrack The Andromeda Strain as well as some of the sonic characteristics found in Italian B-cinema (Fabio Frizzi & Goblin). Pulsing synth oscillations and pounding percussion together with inspired sound design all encapsulate the confused and claustrophobic human big-game hunt.